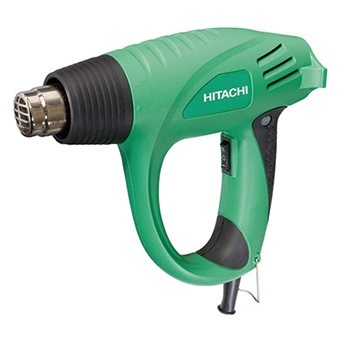 HIKOKI (HITACHI) HEAT GUN, 2000W, RH600T is rated 1.0 out of 5 by 1. Rated 1 out of 5 by Lee D from Not a Singapore G/C plug, buyer beware! I don't know what kind of plug this has, but it's not a G or C that are standard in Singapore wall outlets. You'd need an adapter to use it, and you should NOT be using adapters with these kinds of power tools! Regret this purchase.